If you have a company and you’re looking to hire a new employee, there’s several things going on in your mind. How much experience do they need to have? What is the ideal type of personality for this role? How many rounds of interviews should I have and what should I ask? However, there is one aspect in the hiring process that often gets neglected – the background check. Just how important it is to know more about your employee’s background? Let’s find out why you should be running a check like these on a potential new hire. One of the main reasons people run background checks is to look into their hires’ criminal history. Perhaps this is not that important to you as an employer. However, it could be a burning issue for your clients and therefore deserves a thorough look. Even if your workplace does not put that much focus on criminal history, it’s still an important fact when making a decision. Have you ever wondered if the experience an applicant lists on their resume is actually true? Of course – and sometimes you don’t have the time and resources to check for this. However, ensuring that your hires actually possess the skills they claim they do is extremely important. You do not want to hire someone and find out they cannot do any of the tasks they list in their resume. Even if you know that someone’s work experience is in fact valid, do you know what kind of work they did? In other words, just because your new hire spent 2 years at a certain position, it tells you nothing about the quality of their work. For this reason, it’s crucial to check up with former bosses, peers and colleagues to get first-hand experience. 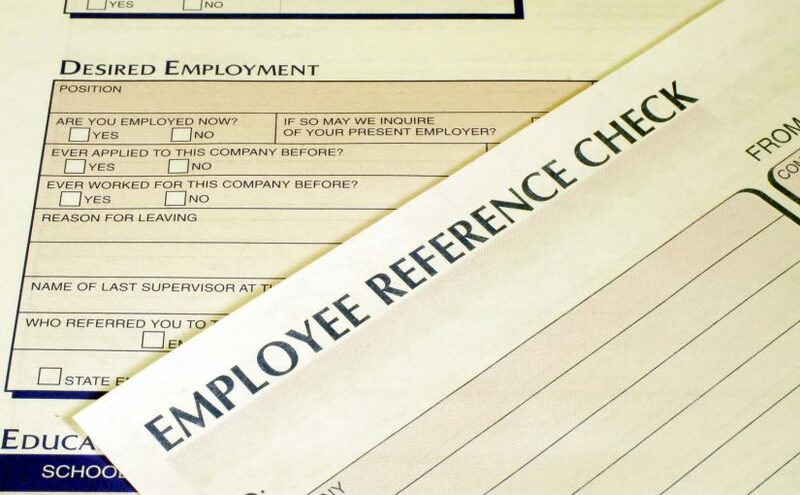 One of the main reasons to run a background check is to show your new employee’s character. There is one thing more important than showing if a candidate can or cannot do what they claim. If they lie about their education or previous experience, they show dishonesty. In the long run, hiring a worker with less than ideal work experience is far better than hiring a candidate who has no problems lying or hiding information to get the job they want. Why do all this hard work yourself? A recruitment tool like Anomadic will do it for you instead! With Anomadic, you can easily perform an automated reference check on new hires. You can perform a background check for criminal records, bankruptcy, credit report and all other important bits of information. What’s more, you can also check your candidate’s CV. Anomadic can be used to assess their professional skills or their knowledge of a certain language. This tool can also validate their reference and check how accurate their listed experience really is. The best part? You can try it for free – what’s to lose?